Bill Clinton was elected six days later. Coincidence? From suggestions that we should all release blow-up dolls filled with helium at exactly noon today, to an invitation on Facebook for post-Rapture looting (after all, many cars will be “unmanned,” you know), it seems that the world has taken notice of the latest prediction of the Rapture. Even atheist Stephen Hawking has grabbed a headline or two recently with his characterization of Heaven as a “fairy story.” Well, today’s the day, at least according to calculations by Harold Camping, who has figured on the precise date of the Rapture’s occurrence as being May 21, 2011. The end of the world is slated for October. The Rapture is that moment a certain minority of Protestant Christians believe that Jesus will come back to Earth, hovering in the air, and then call all the true believers to fly upwards with Him, leaving the rest of the human race to suffer through some years (depending on your particular Dispensationalist eschatology, this could be before or after and be of varying length) of terrible tribulation—wars, earthquakes, the formation of a world government run by Satan, etc. 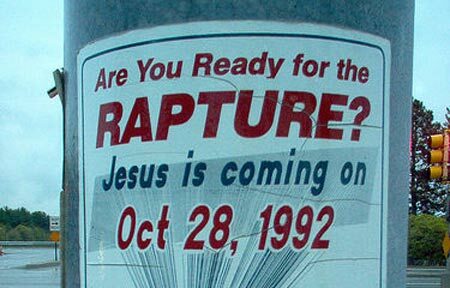 An even smaller minority claims to be able to predict when the Rapture will take place. Some people make books and movies capitalizing on the idea. Most Christians do not believe in the Rapture. They do believe in the Resurrection of the Dead, which is when Jesus will come back, raise all the dead, and then everything will all be over. That said, though, predicting the end of the world (sometimes preceded by the Rapture) is nothing new. Indeed, my personal favorite new discovery is a 1956 booklet called 1975 in Prophecy!, which bafflingly does not mention my August 29th birth. Nor does it even mention the clearly apocalyptic omen of a presidency by a man elected neither president nor vice president. Surely Gerald Ford must be worth something to apocalypticists. Of course, Harold Camping originally predicted in his book 1994? that the world would be ending around September 15-17, 1994 (a three-day stretch, sure, but he needed some wiggle room, and I guess that question mark bought him another 17 years). In short: Don’t worry. Stop sinning. Repent. Love God. Eat and drink His flesh and blood. He’ll come back when He’s ready, and you won’t have it marked on your calendar. 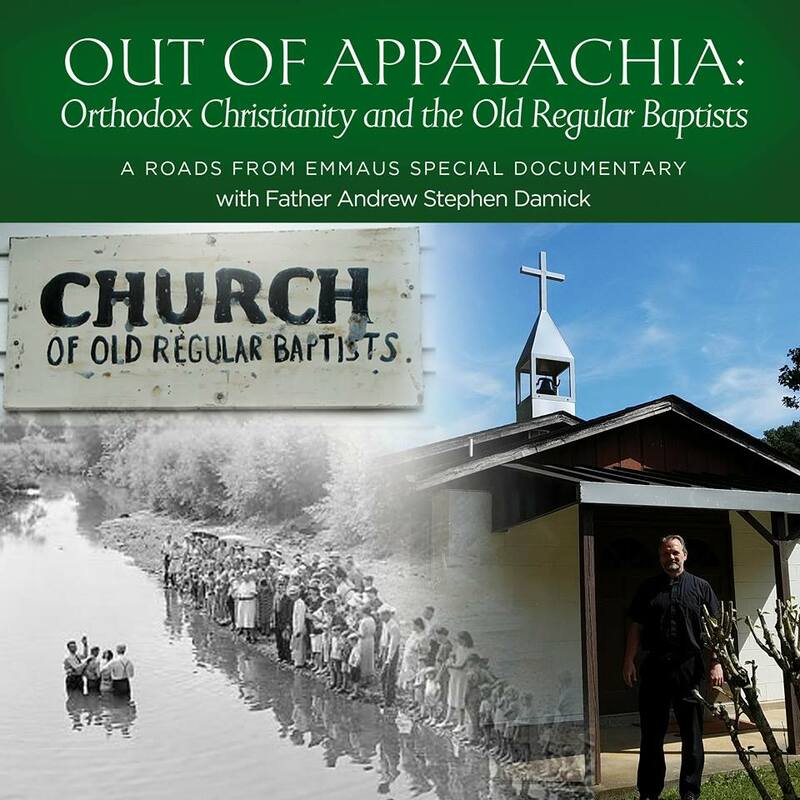 Perhaps after the fallout, and yet another Great Disappointment, the disillusioned Campingites will consider Orthodoxy, and from those some might eventually be received into the Church. One certainly hope and pray. It’s Automatic for the People (who are saved)! Well, still no Rapture. Camping is missing I hear so maybe he was the only “TRUE” Christian that Jesus took. Of course it may be those people who sold and gave everything away seeing they were lied to, maybe they “RAPTURED” him in a more violent manner.